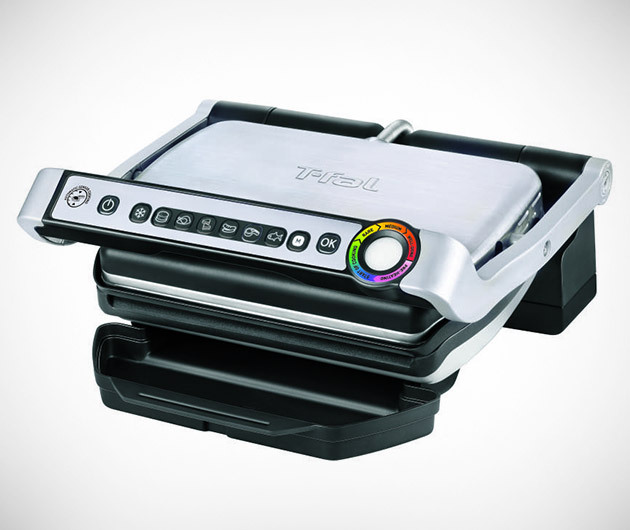 Get the taste of the barbecue, indoors, with the T-Fal OptGrill. Sporting a similar clamshell stainless steel design as the original George Forman grill, it sports a heap of in-built presets to cover all your meat cooking needs and even has a sandwich, defrost and fruit and vegetable mode too. The ample drip tray will take care of that fat and its plates are good to go in the dishwasher. What more could a man want?